The five Mailly-Nesle sisters lived in early 18th century France. After their mother passed away, the sisters were separated. Louise, the eldest had just gotten married and was a lady-in-waiting to the queen. Pauline and Diane had been sent to a convent, but they dreamt of living in Versailles. Hortense and Marie-Anne stayed with their aunt in a pious and quiet environment. Eventually, four of the five sisters would successively become mistresses of King Louis XV. This is their incredible story, full of intrigue and heartbreak. 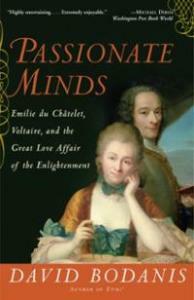 The Sisters of Versailles is the first book in the Versailles trilogy about the mistresses of Louis XV. The author wanted at first to write a non-fiction about the Mailly-Nesle sisters, but decided on fiction instead, as there was little information available when she conducted her research. Sally Christie has an entertaining and humorous writing style. I especially enjoyed the excuses Pauline invents for the reasons why Diane rarely writes to Louise. Moreover, each sister has a distinct personality. Diane, a clumsy and candid young woman, was my favorite as she was a good person and lacked the artifice of the courtiers. 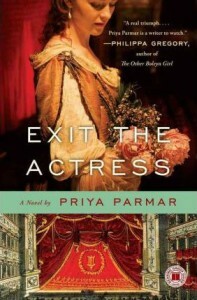 However, the dialogues were sometimes too contemporary for a historical fiction. In addition, I would have liked to know more about their father and what happened to him. 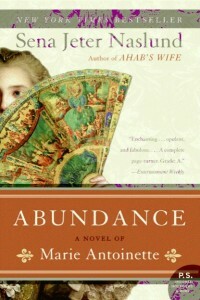 On the whole though, this was a fascinating novel, and I can’t wait for the second book in the series, The Rivals of Versailles, that will tell the story of Madame de Pompadour. 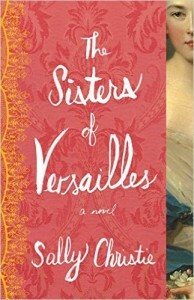 The Sisters of Versailles was sent to me for free in exchange for an honest review. About the author and her work: Sally Christie’s Website. 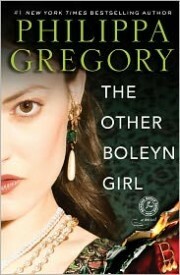 Her love of history started when she was 10 and she read Mary, Queen of Scots by Antonia Fraser. She discovered the story of the Mailly-Nesle sisters on Wikipedia. Sally Christie was born in England but now lives in Toronto, Canada. She likes to play tennis and Scrabble.